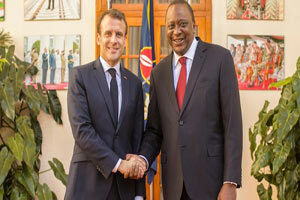 African start-ups and small businesses up to 10,000 stand to receive financial and technical support to the tune of Sh282.5 billion (€2.5 billion) under a newly launched entrepreneurship drive by visiting French President Emmanuel Macron. The Choose Africa campaign seeks to ignite innovative and entrepreneurial ideas among African youth and help create home-grown jobs and wealth. 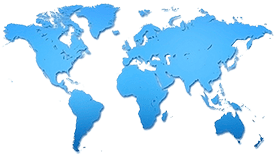 Africa holds the largest portion of youthful population in the world handing the continent a labour dividend in terms of productivity, innovation and consumer market growth, but only in the presence of enough opportunities. Presently, however, the youth bulge, which should be a blessing, has barrelled into a wall of high unemployment amid declining opportunities, breeding runaway crime, while pushing thousands others abroad in pursuit of greener pastures. Small businesses often find it hard to access bank loans because they are perceived to carry a high risk profile based on the unpredictable nature of their cash flows that increases defaults chances. This is despite the fact that small businesses, often informal, provide jobs to over 80 per cent of the population. This means modernising and making them formal, partly through funds access, holds the key to improving the living conditions of majority of the citizens employed in informal sector and boosting the continent’s overall growth. Under the equity investment model, for instance, government-owned French electric utility firm EDF Group, has committed to invest in Kenyan solar irrigation firm SunCulture through convertible bonds. The investment will enable SunCulture roll out its solar pumps technology on a large-scale basis and will equally benefit from EDF’s technical R&D expertise in off-grid power solutions. Financing to meet the specific needs of businesses depending on their stage of development. AFD provides equity financing and promotes access to credit for MSMEs (micro, small and medium-sized enterprises), through loans earmarked for SME lending, granted to financial institutions in Africa, or guarantees to banks to share the associated SME risk. Technical and strategic support to accompany local financial partners, as well as start-up and MSME beneficiaries, in their strategies, operations and environmental, social and governance practices. To supports the development of local incubator and accelerator structures AFD used, to accompany start-ups and SMEs with high-impact potential become investment ready, sustainable and scalable. Support to the development of local entrepreneurial ecosystems that are favourable to entrepreneurship and innovation, in order to promote local economic development and SME competitiveness.